Started in 1987 by two sisters from the ethnic Taidam community who used to weave cloth for personal use. They then developed their skills and learned from others how to produce quality woven clothes, and have now developed a community enterprise. The Napanad Women’s Weaving Guild has been formed to be a centre for local women to get extra income. Working cooperatively as a group they have been creating new product lines with a focus on quality. The group has been an outstanding weaving guild in the area. 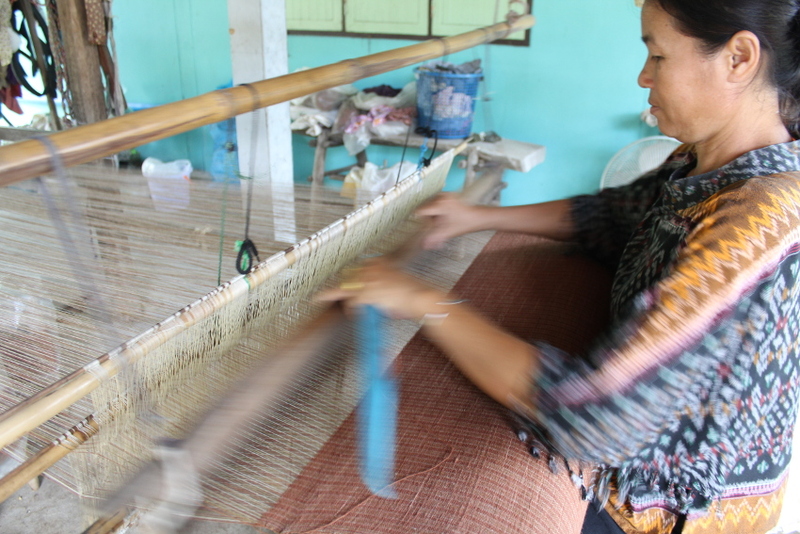 They have won many medals from the Queen of Thailand for their quality of weaving. The Panmai Women’s Weaving Group was established in 1991 with almost 500 members in the region to promote the use of naturally dyed fabrics and to preserve the environment. Working as a group, they have collectively structured their group to manage the business on behalf of the members and to develop new business and marketing opportunities. 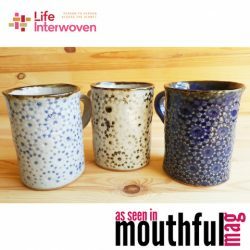 Taoluang Studio is a small family business making hand-made ceramic homewares. 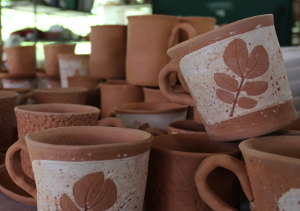 Working with nature by using natural raw materials, they blend these into beautiful, high quality ceramics pieces. Their aim is to employ more locals and they provide training to locals skilled in wooden sculpture crafts since this skill is disappearing because of changing consumer demands. 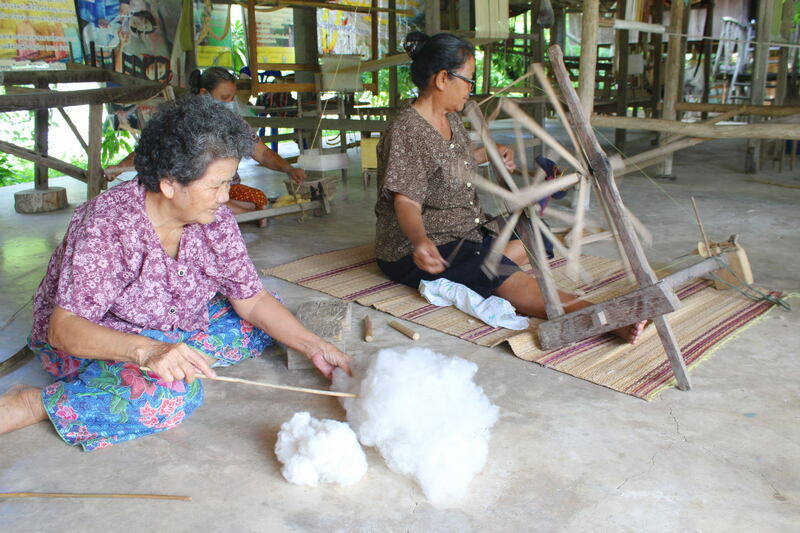 Archan Buangao KhaenKhang (Archan means teacher in Thai) has a passion for crafts especially sewing. She works with the Thai government to train young women in villages to get sewing skills so they are able to work from home. Archan realised that to support her students, they needed to get work after completing sewing training. She and her students formed a Women’s group and together they coordinate sewing work to provide additional income which helps support their family. Koong is one of the seamstress who is participating our project. 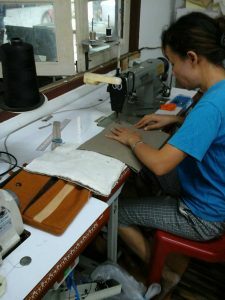 Through working on bags for Life Interwoven she has been able to help her family fund a house warming ceremony before the Thai New Year Festival. Chanmai is a young member and has 2 young kids. 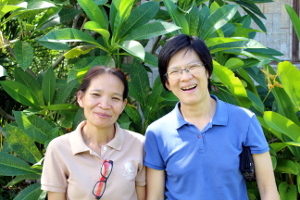 She planned to work in Bangkok as a construction labourer but changed her mind after meeting Archan and getting involved in the sewing group. She has been able to support her husband and her young children while being a member of the group.